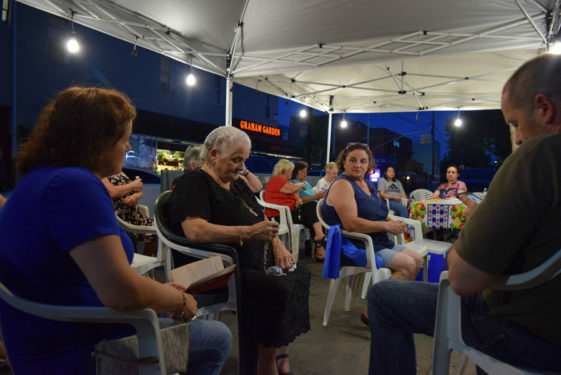 It’s August and that could only mean one thing for the Mazza family on Conselyea St. in Williamsburg: time to make preparations for the annual feast of their beloved Italian saint, San Donato or St. Donato of Arezzo. Except the crowds who will come to pray the rosary and the visiting priests who will celebrate Mass won’t step into the church building that’s a couple of blocks away. 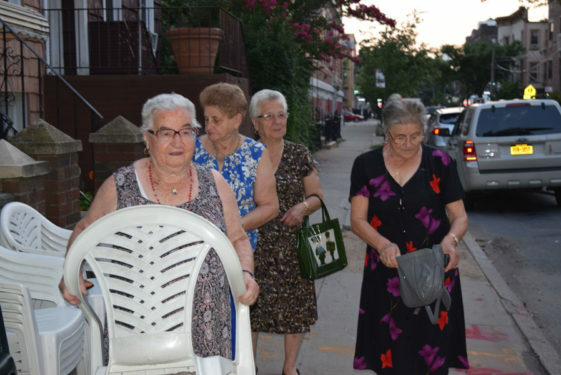 Instead, they will make their way to Francesca Mazza’s house. 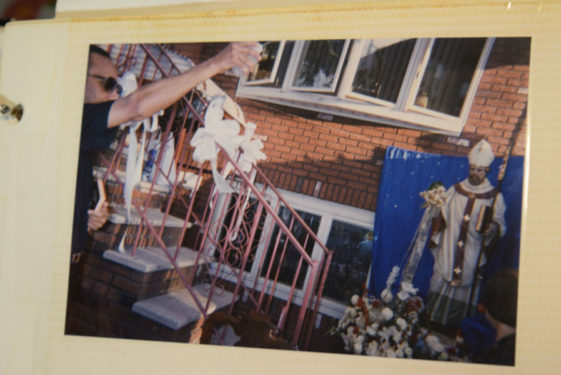 That’s because for the past 24 years, she hosted the three-day feast in her Brooklyn “driveway” out of pure devotion for the saint. 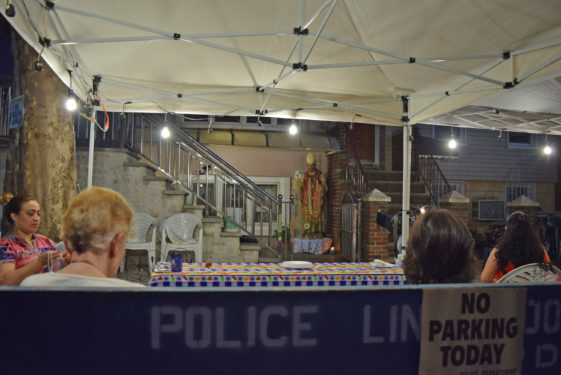 For the three days leading up to the saint’s feast day Aug. 7, the scene outside Mazza’s house looks like a miniature version of Little Italy in Manhattan with the lights cascading from the tent blocked off in the middle of the street and guests speaking in Italian-Brooklyn accents. 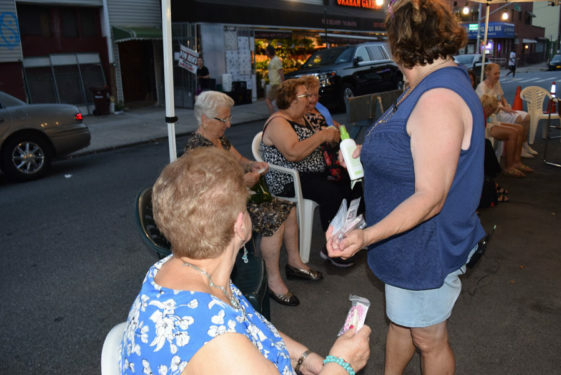 The feast has grown over the years and has since attracted devotees from across the tri-state area. 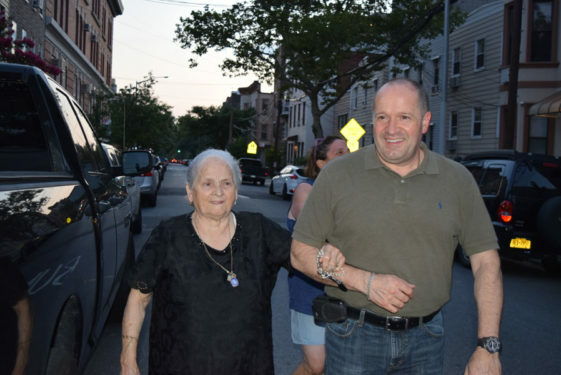 Regardless of color or creed, if Mazza sees someone walking down her street and curiously looking at the saint, she might kindly offer a rosary or hand-made prayer card – simple conversations with strangers that at times, doesn’t seem to even take away a slice of her energy. 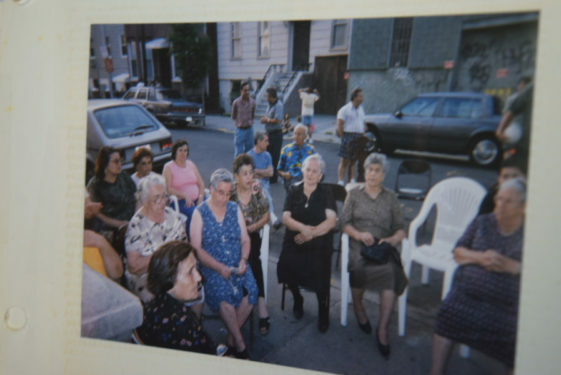 Mazza, far right, was influenced by the deep devotion her mother, center, had for the Italian saint. 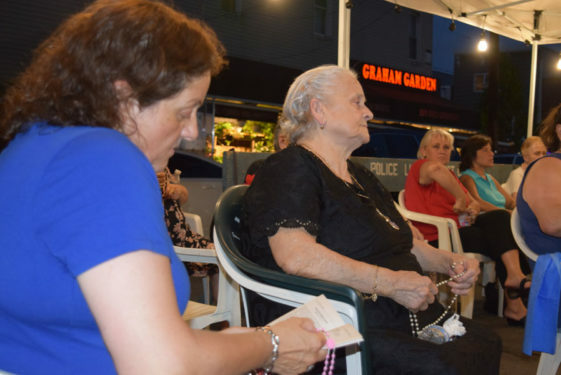 Her siblings participated in the three-day feast and joined in the public prayer of the rosary. 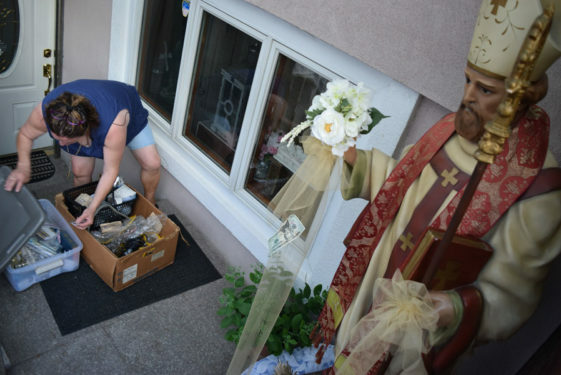 A life-sized statue of St. Donato sits in front of the house. 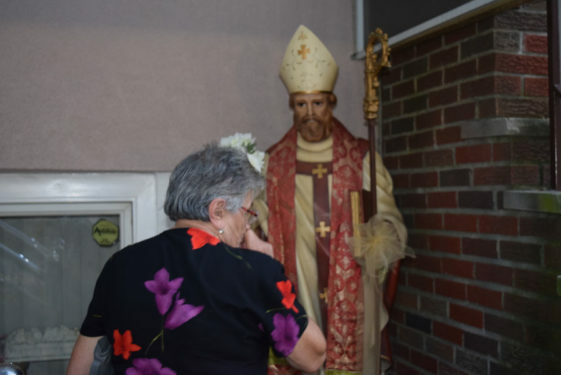 Mazza herself ordered the statue of the martyred bishop and had him officially blessed not too long after he arrived on her doorstep. 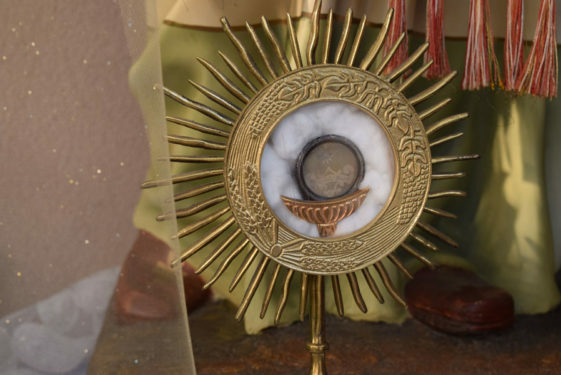 She even went to the extent of obtaining the saint’s relic, which she happily puts on display right next to the statue. 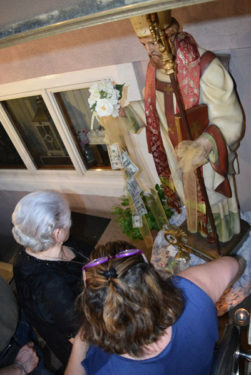 Little nonnas, or grandmothers, come together in groups, rosaries in hand, and give monetary offerings to Mazza so that she can pin them on the saint’s ribbon hanging around his arms. 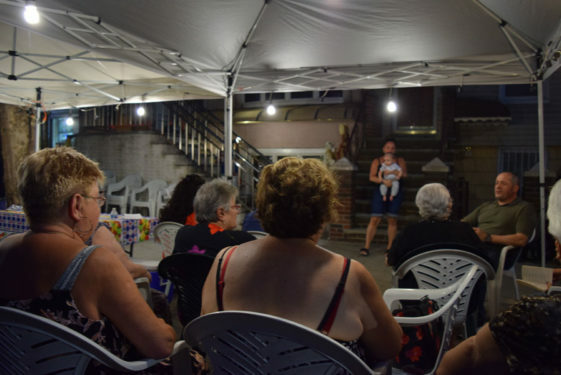 One woman, an Italian immigrant who lives close-by, said she attended the feast since it began in the early ’90s. 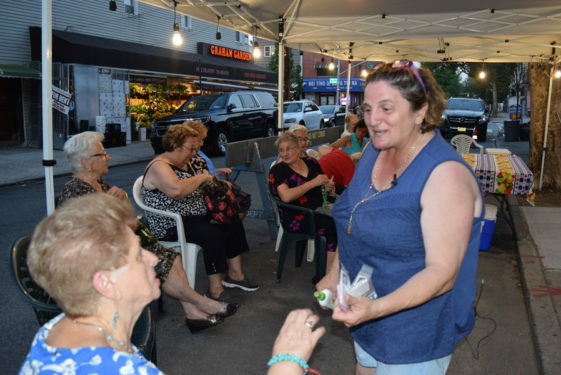 While the Brooklyn block comes alive with Catholic tradition during these gatherings, Mazza’s love story for the patron saint of Arezzo actually began in her hometown of Sassano in southwestern Italy when Mazza witnessed her own mother’s personal devotion to the saint. 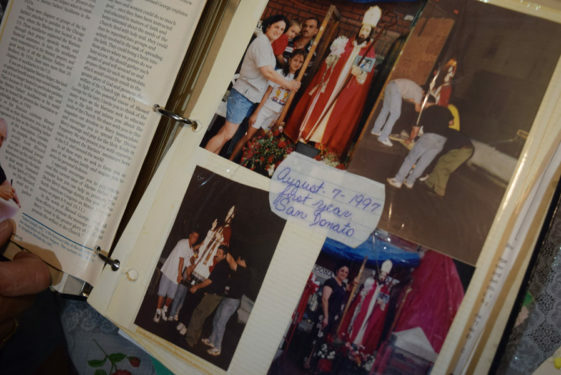 Vintage photos from Feast of San Donato in the late '90s. 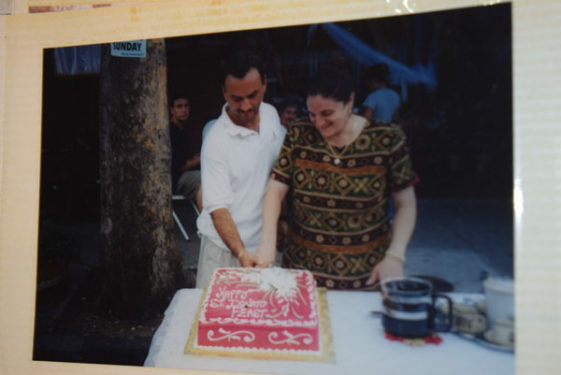 The husband and wife cut a Feast of San Donato cake, a staple item during the feast day celebrations. 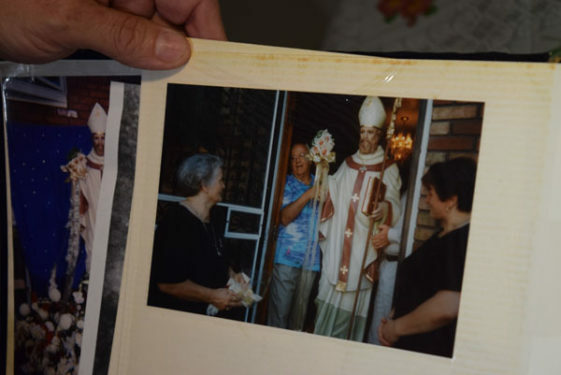 Mazza's mother had a deep devotion for the Italian saint. 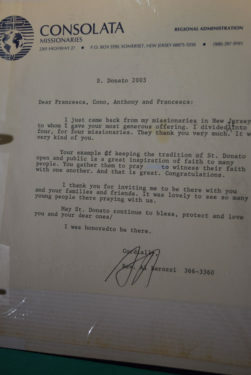 In 2003, Father Barozzi wrote Mazza a heartfelt letter describing his appreciation for her devotion to the saint. Mazza prepares for the first day of her three-day feast. 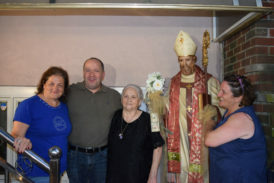 The family from Italy who brought their cultural traditions, including the Feast of San Donato, to Williamsburg. 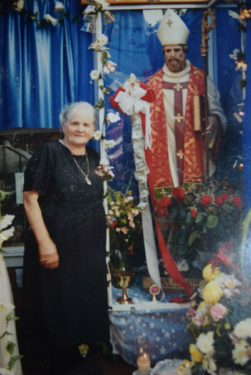 Son Nikola, right, brought his mother to the first day of the feast. 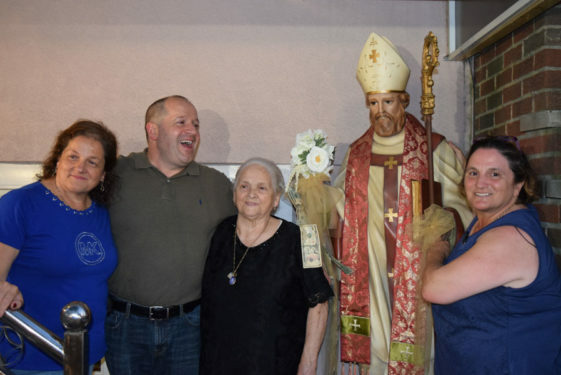 Mazza's mom holds the statue of the martyred Italian bishop in her house during most of the year until feast time. 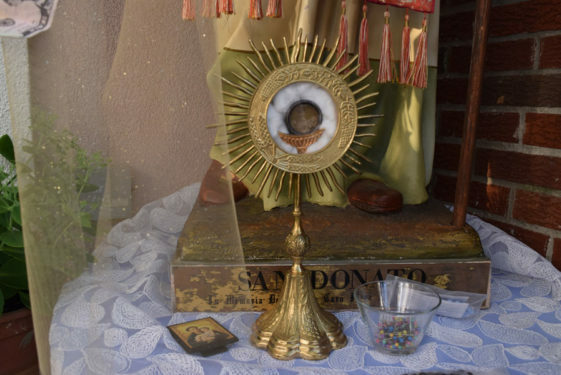 Mazza sits down next to her saint's relic, which she brings out during the three-day prayer feast. 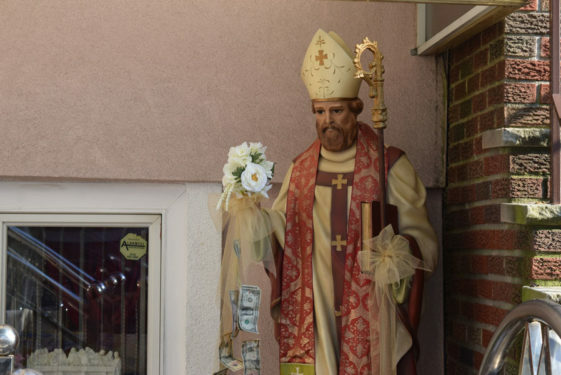 The San Donato statue used in one of the first feast days was actually borrowed from a nearby church. Mazza eventually bought her own life-size statue. 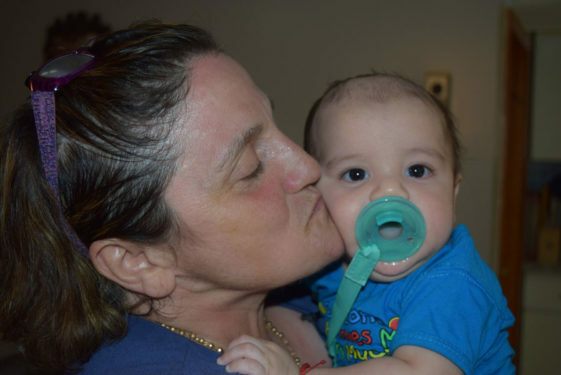 Mazza and her grandson, Anthony Donato, named after her beloved saint. 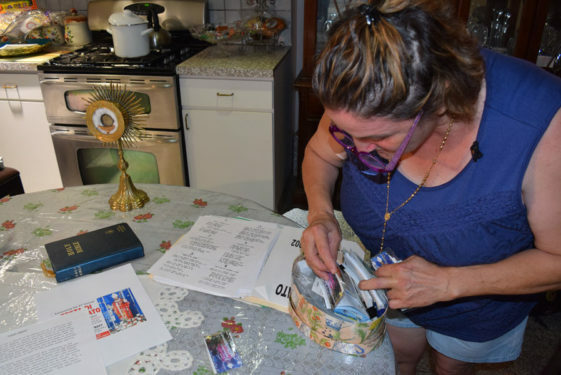 Mazza sifts through homemade prayer cards. A neighborhood friend drops by to celebrate the feast day. 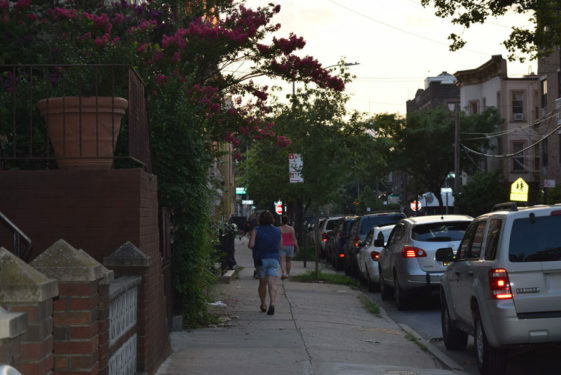 Mazza walked up to strangers walking down her Williamsburg block and handed them prayer cards and rosaries for their children. 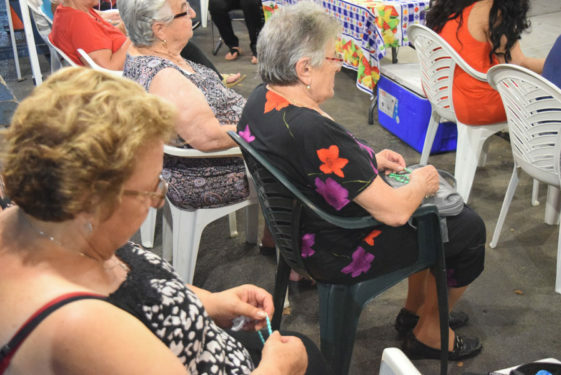 The nonnas came in full force to pray the rosary together. 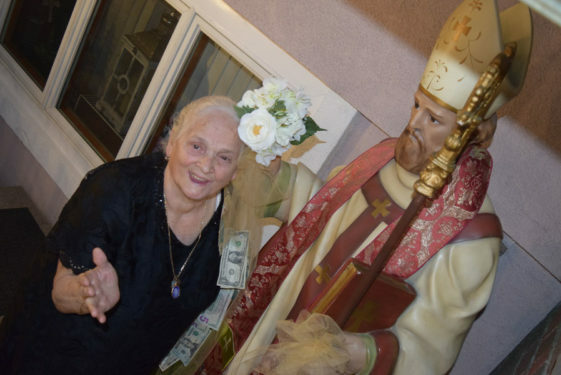 One of the nonnas greets the saint and offers her donation, which this year, was dedicated to breast cancer research. Praying the rosary in Italian and English as the evening begins. 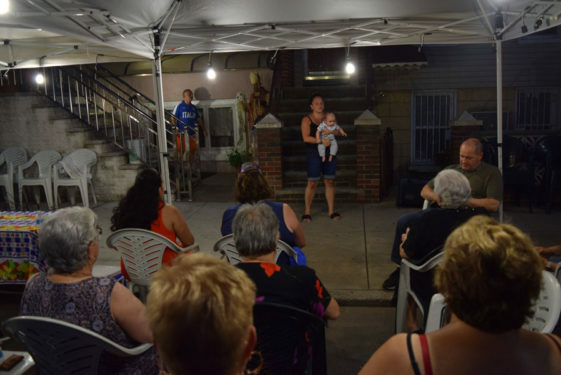 Evening Mass will be held in her driveway for the next two days leading to the saint's actual feast day, Aug. 7. 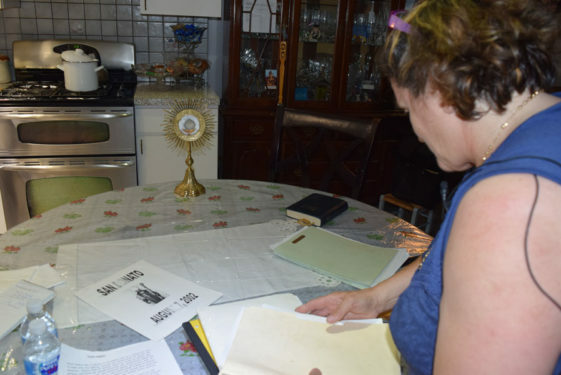 Her mother’s personal pilgrimage and devotion resonated with Mazza for many years, including when she first came to the U.S. as a young girl. “I always kept it in my heart even when we came here in 1974,” she said. 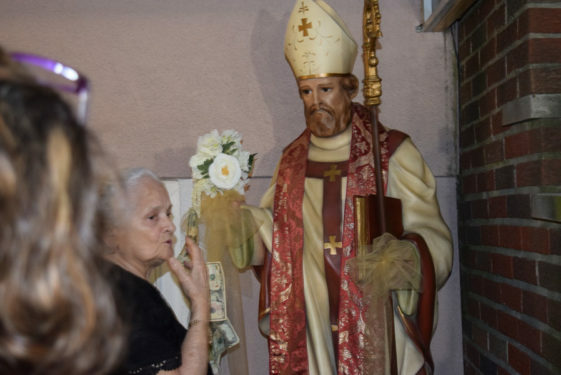 It wasn’t until the late ’80s that her beloved saint once again made an appearance – this time through the devotion of another Italian woman who also prayed to the saint outside her home. “God works in mysterious ways,” she said. 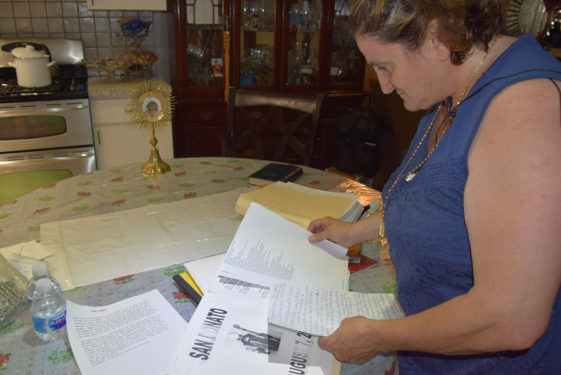 Mazza approached the woman and when she found out it was her St. Donato, the rest was history. When it was time to buy her first house, where else would she consider besides close enough to her favorite heavenly companion. Her twin brother Nicola also enjoys the traditional feast day. 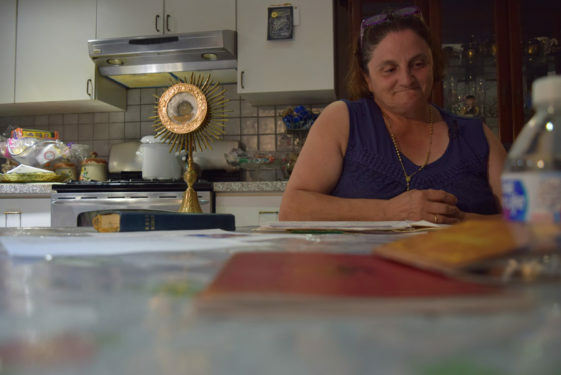 The devotion has been passed from one generation to another: her mother, who first introduced the family to the saint when they lived in Italy, to Mazza herself and to her son Michael whose middle name is Donato. 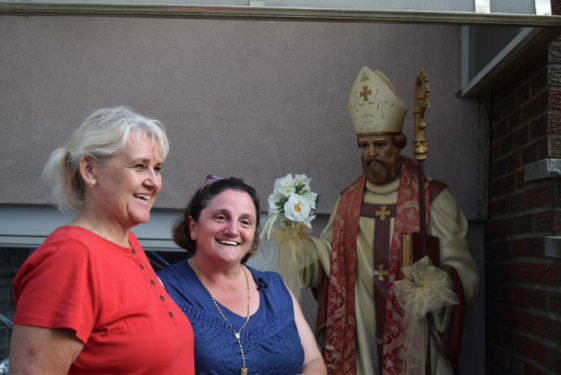 Even her daughter-in-law Madelaine finds value in the tradition and also named her son after the saint. “It’s wonderful,” said Madelaine. “I like to see a lot of people come and join for Mass and prayers. I feel like it’s bringing our family together. It’s also building new traditions for my son, which we actually named him after St. Donato, his name is Anthony Donato.